free of heavy residues, parabens, and dyes, my moisture shampoo and conditioner restore hair’s natural moisture and pampers each strand. dare to bare your softest* hair with herbal mint fusion extracts. 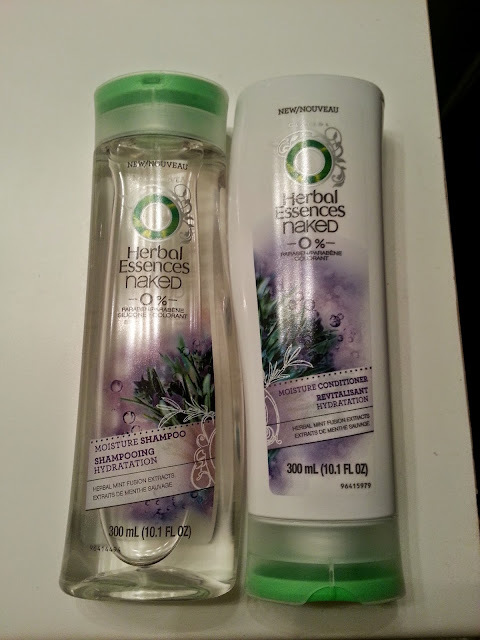 I've seen so much about these shampoos and conditioners through others, I wanted to give it a try myself. I know they retail for a cheap price, so I figured if I didn't like them, then I wouldn't be wasting much money. I decided to try the "moisture" line out of the choices they had (moisture, volume and shine) and ended up finding these at Walmart for under $3.00 each. The conditioner also does its job, providing lots of moisture. Once my hair was dry, I could feel a difference. My hair/scalp felt cleaner, and my hair was so soft, I couldn't stop touching it! I definitely recommend this to anyone looking for a decent shampoo and conditioner, at such an affordable price!